While some will go away at Christmas time, many of us will stay and enjoy the North Shore at its best (when half the population are away). We'll save on travel and expensive holiday home bookings, and have our own "Christmas Training Camp." We'll spend the money we save on large lattes, smoothies, the odd "all day adventure"... a few extra goodies from Triathlete's Corner, some more bike gear from Saints Cycles, a burger and a beer at the Belgian Bar, or a new pair of shoes from Shoe Science. One or more of our "Fit For Fun" coaches will take the sessions. The cost - For those paying fortnightly - just keep your same payment going. For those paying by concession card, the cost will be one clip of your card per day that you attend. For those staying around over Christmas, the generic Christmas training programme is outlined below. It will likely change depending on the weather or general consensus of the group. We also plan to have a few early evening BBQ's but we'll play that as it comes and arrange venues at short notice (probably deciding in the morning after the swim). As a general rule, Monday, Wednesday and Sunday training will be Long Steady Distance in all disciplines. Friday will be very easy (with more coffee time than training time). Tuesday, Thursday, and Saturday training will have some harder work across all disciplines. We've got a huge range of different adventures planned, including rides to Piha, Huia and Scott's Landing. Each one depends on the weather and the general mood of the group. We also plan to do a few overnights of "glamping" at my section in Matakana. The section is 3000m2 and has the basics for "glamping" - a few chemical toilets, one flush toilet, three solar showers, one gas heated shower (two minute limit due to tank water restrictions), and lots of camping sites. We've got a couple of BBQ's and a kettle for cooking but our back-up is to walk around 200m to one of the six local cafes for food and coffee. You'll need all your camping gear including a tent, chilly bin, and coolies to last overnight plus enough training gear to get you through. We'll probably do the overnights on a Tuesday (followed by swim and long run from Matakana on Wednesday) or Thursday (followed by swim and rest day on Friday), or: Make Saturday 31st December a long training day by swimming at Takapuna Beach, biking to Matakana, going for a short run to the beach, staying up until midnight on New Year's Eve, sleep in then... New Year's Day: cycle to Mangawhai heads for a run/swim and coffee then cycle home. The cost for those staying overnight at Matakana is $5 (to cover electricity and water) plus half an hour of work in the garden. The only other option is to pay $100 per night and not do any work. Jane Powell has volunteered to drive my van as a support vehicle when she is available but we'll still need some extra vehicles and drivers, especially the parents of our juniors (most of whom can't take turns driving). A good option for those who aren't at their best fitness is to drive a vehicle to our finishing point and ride back towards the group then ride with them to the end. Its up to each individual to arrange their own logistics and I suggest the all petrol and a coffee is covered for any drivers. Wednesday 21st December, 7.00 am: 60-75 minute swim, from TBC, 90-120 minute run (Okura Bush trail and Stillwater), 40 minute stretch, coffee?? Friday 23rd December: 7.00 am: 60-75 minute swim, from TBC, 90-120 minute run, 40 minute stretch, coffee?? 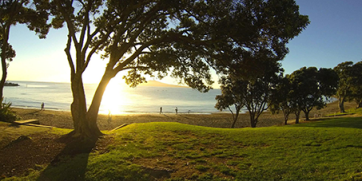 Monday 26th December, Boxing Day - 5.45 am onwards: Rangitoto Swim, run around Rangitoto, brunch at a cafe in Takapuna. (see details below)... likely an afternoon ride as well? Sunday 1st January, 8.00 am: 3 - 6 hr adventure ride, 60 minute adventure run. © 2016 Copyright, North Harbour Triathlon Club. All Rights Reserved.